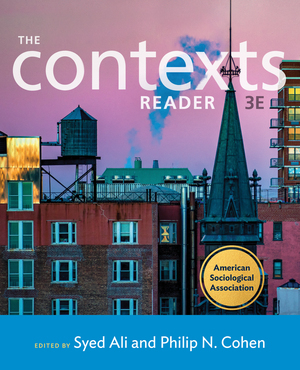 The Contexts Reader collects over sixty of the best articles from the popular magazine in one affordable anthology. Considered the public face of sociology, Contexts magazine is highly regarded for featuring articles by well-known sociologists that make cutting-edge social research accessible to a general audience. More than three-quarters of the readings in the Third Edition, including eight Viewpoints roundtables, are NEW to the reader. 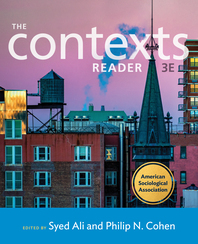 The articles in The Contexts Reader are as accessible as a popular paperback, but as brief as a journal article. Designed to attract readers who are not trained as sociologists, Contexts magazine features articles on topics ranging from transgender rights and gentrification, to hookup culture and the sharing economy. Prominent sociologists contribute articles that synthesize their cutting-edge research into brief readable essays. Free from jargon, the readings challenge outdated ideas, provoke creative thinking, and stimulate lively debate. The Third Edition includes eight NEW Viewpoints—roundtable discussions where top sociologists debate some of the most compelling issues of our time, including sexual assault on campus and policing in America. Like its predecessors, the Third Edition is organized around the syllabus of a typical introduction to sociology course. And since we know that many instructors are seeing an uptick in pre-med and pre-health students due to the recent MCAT revision, we’ve bolstered the reader’s coverage of health topics in the Third Edition. Three to five study questions—ranging from basic reading comprehension to critical thinking questions—at the end of every article make them easy to teach and assign. And since we know that sociology instructors are very price conscious, we’re offering the Third Edition at the same great package price of just $10 with a Norton textbook.